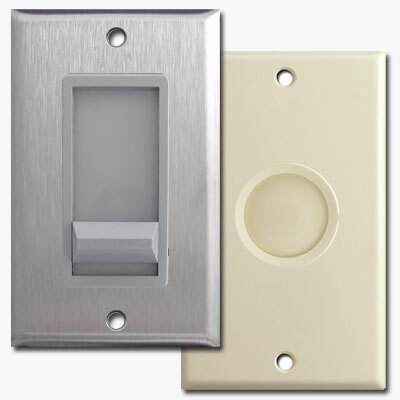 Comprehensive description of light switch plate configurations, sizes, and the electrical devices. 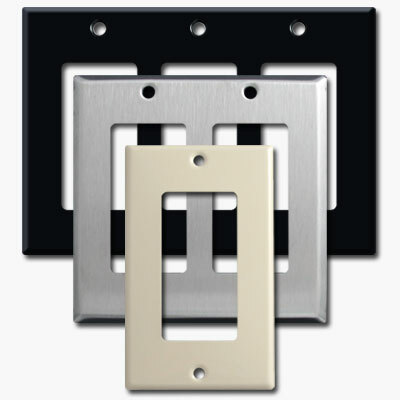 See sections for Devices, Switch Plates and Electrical Terms. 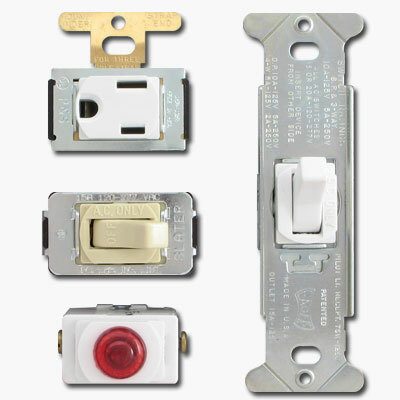 Toggle Switch - Standard - Regular toggle switches are devices with a squared-off protruding 5/8" handle that can be flipped up and down to turn on lights, fans or electrical devices. 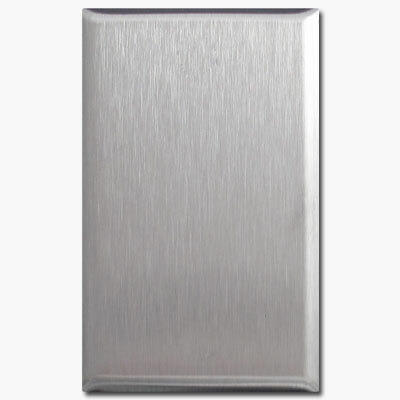 Fits rectangular 13/32" W x 15/16" H openings that are vertically oriented. 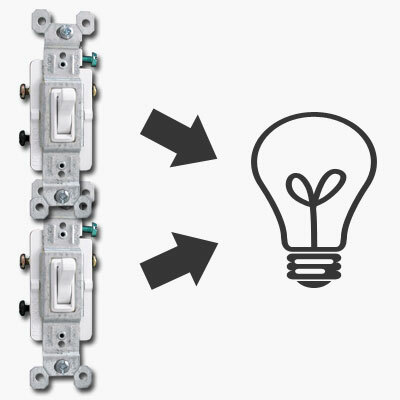 Available in single pole, 3 way, 4 way and lighted versions. 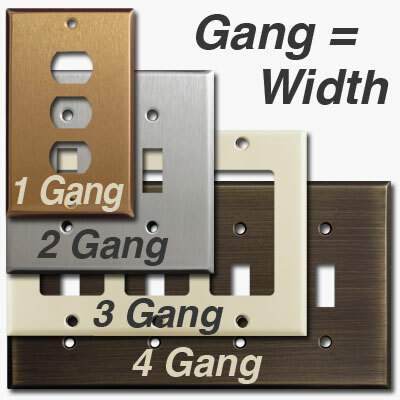 Switch Plate Dimensions - Standard Size - Standard switch plates dimensions (height, width) for sizes up to 10 gangs. 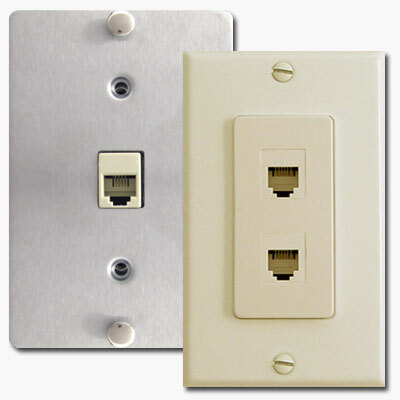 Both styles are available in standard and oversize versions and work with USOC telephone, Category 3, 5E Ethernet and 6 modular phone and communication jacks. 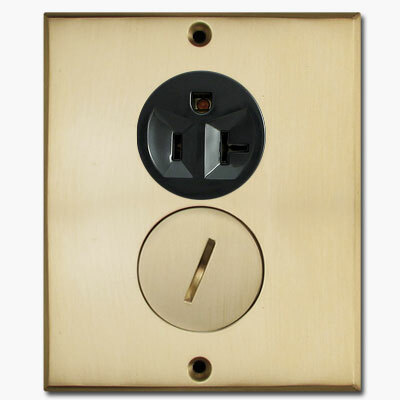 Box mounting screw holes are spaced 3-5/16" apart from center to center. 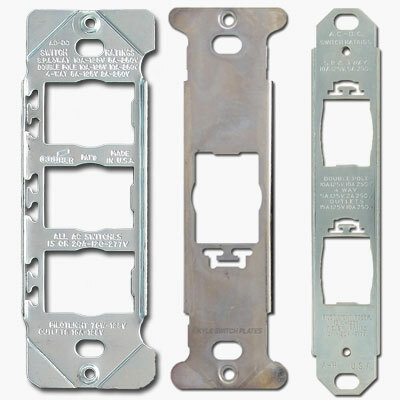 Often, current telephone electrical fittings are attached to the plate itself with the jack opening being in the shape of a rectangle with a small notch below. 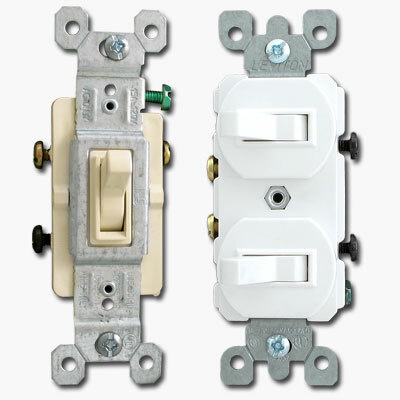 These types of plates can usually be replaced with metal telephone jack plates by switching to the modular phone jacks. 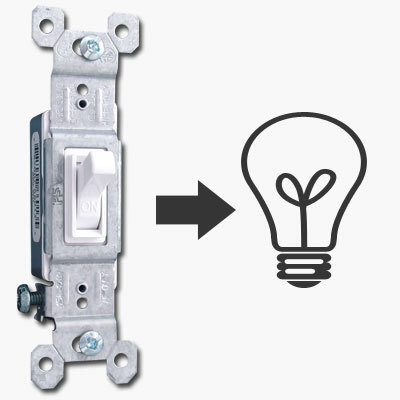 Note: Metal phone jack plates require the safety of plastic modular jacks because of the electrical current carried in the phone wires. 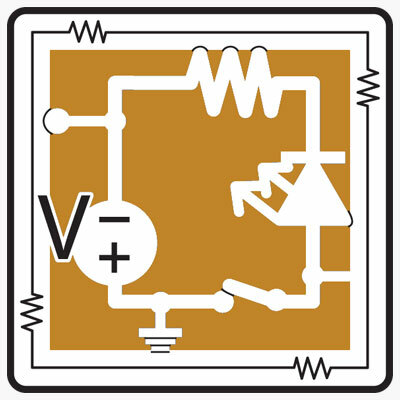 Amp Rating - Amps is the volume of current. 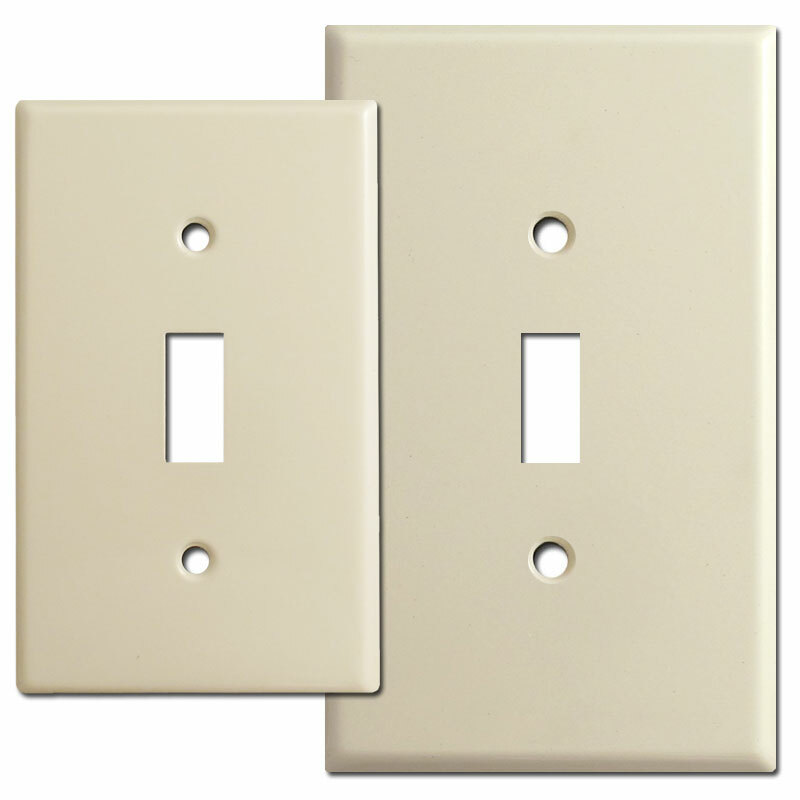 15A devices just have two straight slots; 20A devices have one straight slot and one "T" shaped slot. 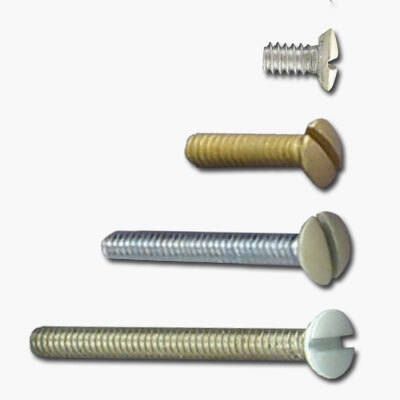 Currently manufactured devices also have "D" shaped grounding leg openings. 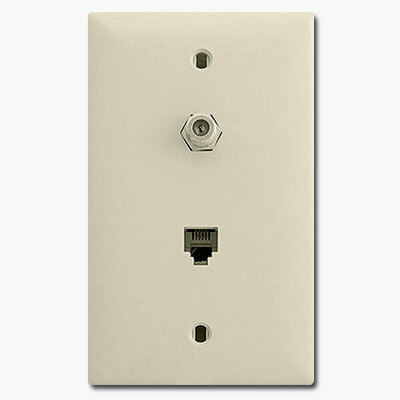 Devices are usually offered in 15A and 20A versions. 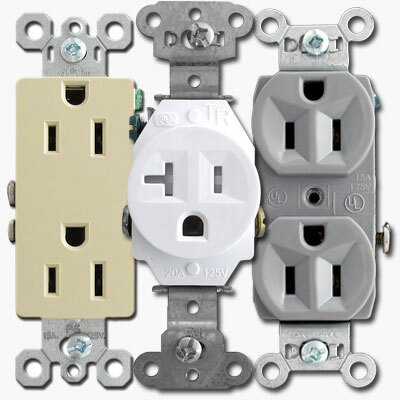 Amperage - Amperage is the amount of current a particular appliance uses. The letter "A" refers to units called amperes or amps and indicates the amount of current that can be safely drawn through the device. 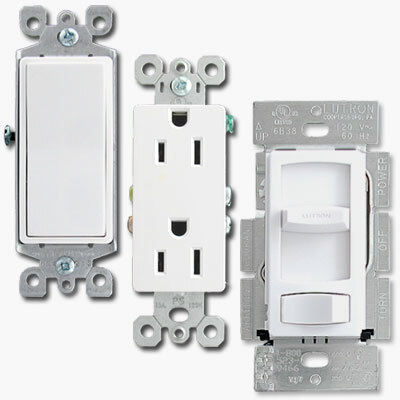 Select devices based on the amperage rating of appliances you'll be using. 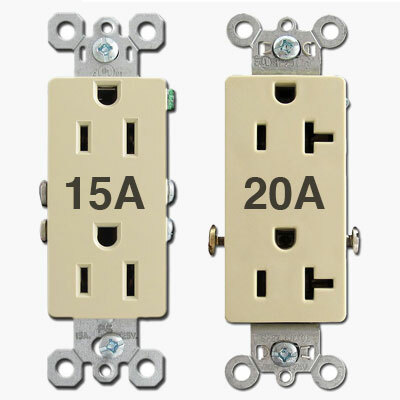 Most homes have 15A devices installed, but if using many appliances at once on a particular outlet or using ones that draw a lot of power, then the 20A versions may be the better choice if your wiring will allow it. 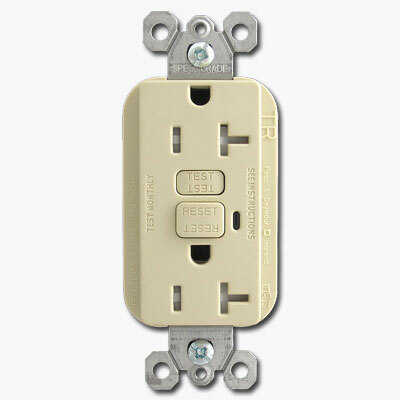 Current - Current is the flow of electricity through a conductor. It is measured in amperes. 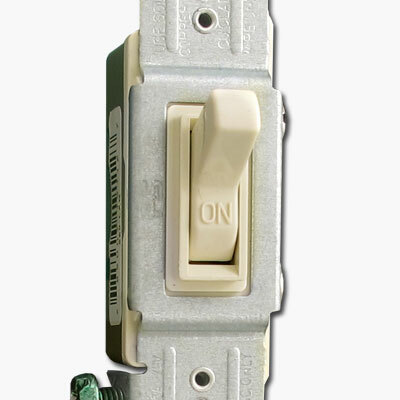 A.C., or alternating current, is the common form of electricity that flows into homes and offices. Its direction is reversed 60 times per second in the U.S.; 50 times in Europe. D.C. is an electrical current that travels in one direction. 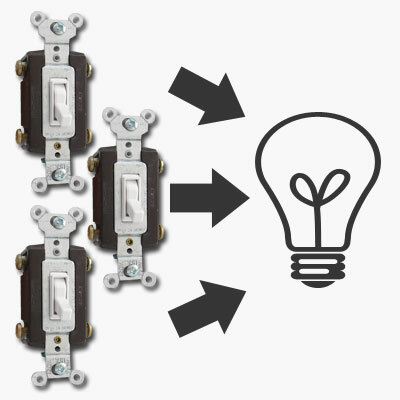 Commonly used within computer electronic circuits and in batteries. Voltage - Voltage is incoming electricity, in other words, the amount of electrical current available to your home coming through the power lines. 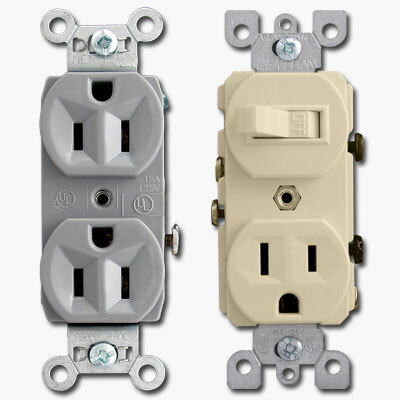 This is limited to 110 volts for standard US homes. 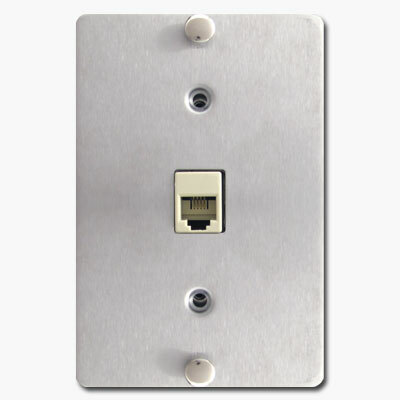 The voltage rating on a device indicates the current-carrying capacity and most U.S. devices you'll find will be a standard 125V. Tip: Bookmark this page now.